Mo Lowda & the Humble - Founders Brewing Co. 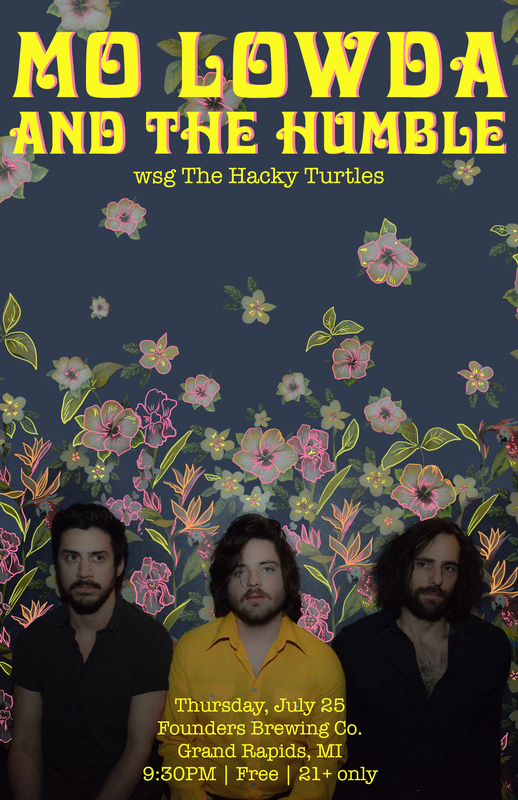 The Hacky Turtles hail from Grand Rapids, MI. They have been forged from the gritty wilderness of conifer and deciduous guardians covering the lush inspiration and beauty of an older way of life. Harboring an eclectic recipe of Alternative Funk/Rock with a decent dollop of Durty Folk, friends since the recklessness of their youths, these troubadours have shared a soul bond and a common passion for both the love of music, and the performing of it. They are the brothers of the lake water, notorious tamers of the tapping toe, wranglers of the funky feet movers, minions of the night and embracers of the day.